and realized that we're on the same track. The wind farms I think have to be behind the oil rig to the east because the green foliage is similar to the foliage behind the oil rig in the evening shot. Notice the Oil rig is pointing towards the west from the shot in the trailer slightly off kilter the downtown buildings. The shoreline takes up 1/4 of the perimeter. 'Tommy V's' building as suggested by sonofugly can be seen in the oil rig shot. 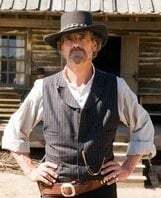 I think thats the building where he was standing earlier on in the trailer. Golf course could MAYBE be in that area because the US bank is on the left (in the Golf course shot) and an unknown circular building is on the right. When I have access to a pc, rather than crappy laptop im going to mod the SA map to how I think V will be laid out, got a clear idea of what I think it will look like. Yeah, I figure while it will have changed (alot), things should be in about the same place. So may we get a list of Los Angeles neighborhoods that we have (unofficially) confirmed to be in the game through our amazing research? Some good finds here. I will do my best to contribute. I'm resident of New York now and I can see many things from there! US bank is located in downtown L.A. Wacky Wavy Inflatable Arm Flailing Tube Man - and Child. I keep coming back to this thread and I'm even more amazed with what you guys are coming up with. This is the kind of speculation I've been waiting for once GTA V was announced - again, great job. I'd love to try and help but, as a resident of the UK, I'm not so useful with LA, I'll keep my eyes open though. EDIT: As was said above, this needs to be stickied! Me either mate, im in UK. Google & google maps/street view is your best friend. i haven't seen ANYBODY comment on the building on the right corner of the trailer at 0:31... in the I-5 shot... I've seen the building before somewhere in a movie or something. My first instinct was that it was a hotel in the city of Las Vegas... but i could be wrong. 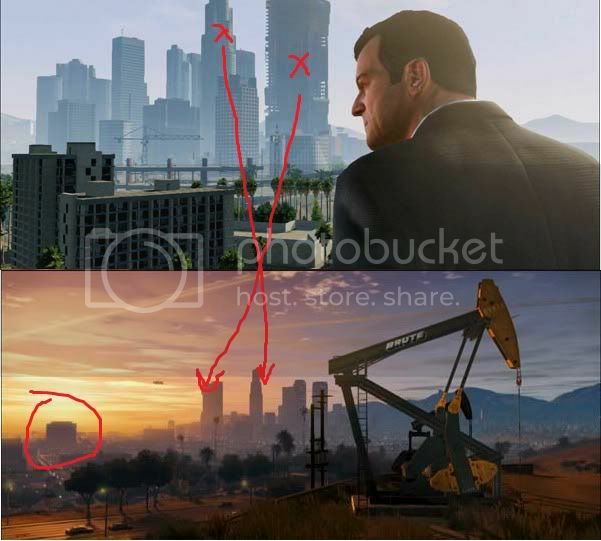 SOMEONE HAS TO HAVE SEEN THAT BUILDING BEFORE!!!!!!!!! Nope, it's not in Las Venturas it's in Los Santos. I swear that looks JUST like a portion of the 5 in Irvine or Anaheim in Orange County, far outside the city limits of Los Angeles. 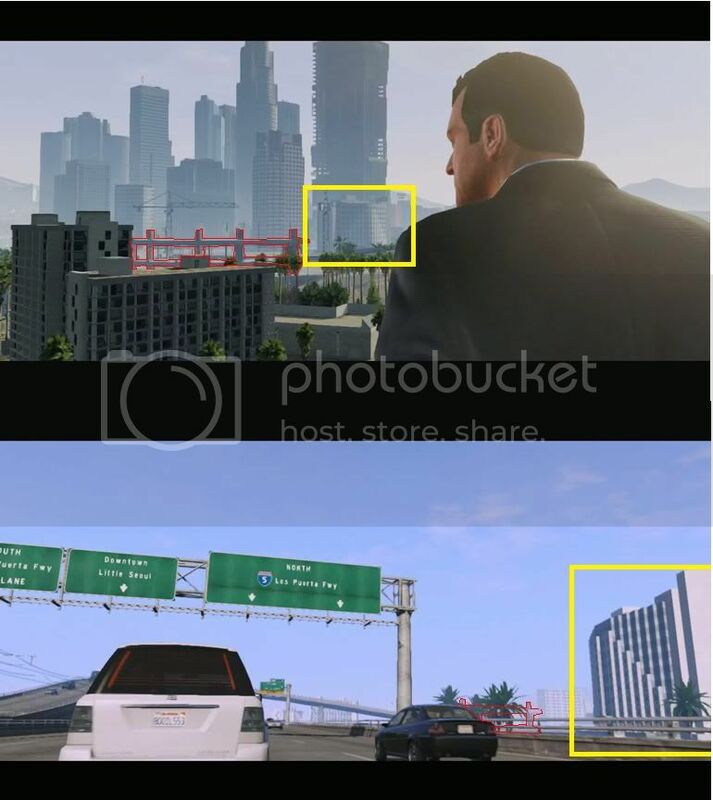 I just can't point out that exact building. Anyone agree with me? Maybe this means they will include Orange County in the game? No.....I'm not going to jump to conclusions. Plus the "Downtown" and "Little Seoul" signs on the freeway make me think otherwise. 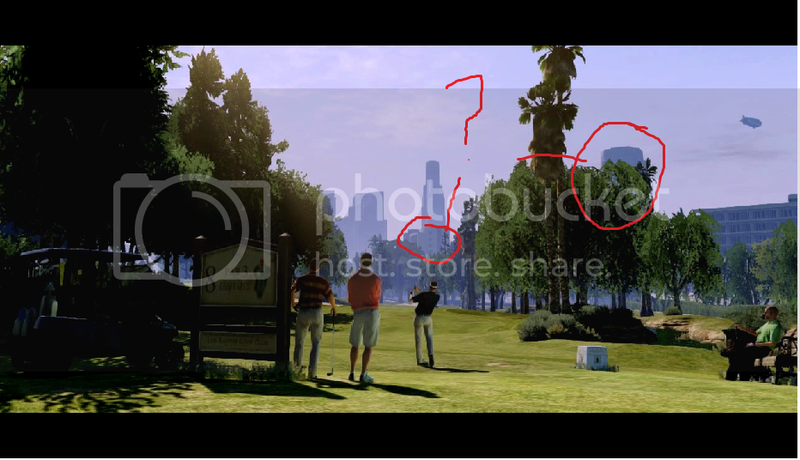 and the link that was supposed to have figured it out... had the building to the left of it, NOT THE ACTUAL BUILDING!!! DID YOU SEE THE PIC I POSTED!!! I know I've driven by those buildings you guys mentioned, but I just don't recall where. I also recall the freeway overpass in the screenshot, but again, I don't remember where. Give me a little more time and I'll get to it when I get back from the gym. Btw, I was in downtown last night but I couldn't really see some of the buildings in the distance. If I get the chance tomorrow, I'll try to get some pictures of LA looking from the Hollywood Hills, looking specifically for GTA buildings. No! Indication of a small map! How is that indication that the map is small? Rockstar Games stated in the official press release that GTA V is the biggest and most ambitious game they've ever developed. 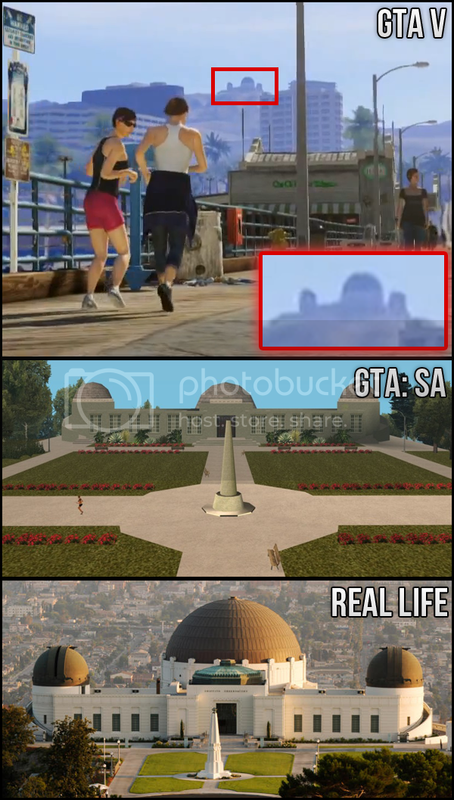 Look at this map of Los Santos in GTA: San Andreas... the Observatory is much closer here than it appears to be in V, plus it's in a totally different position. 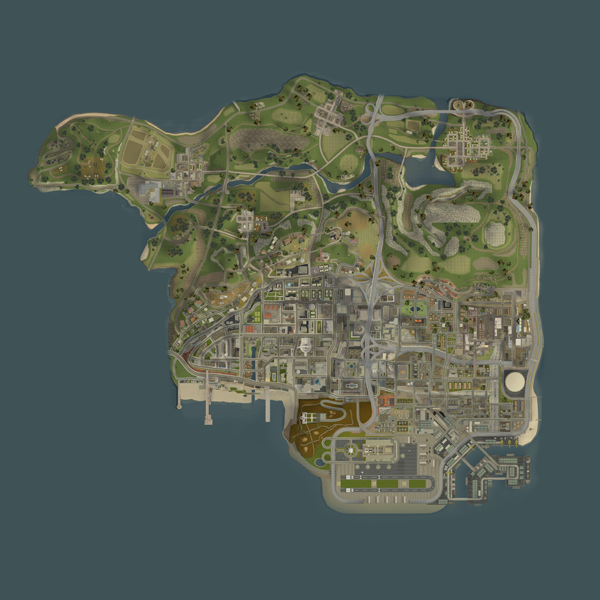 The map is going to be completely different and much bigger then just the "Los Santos" area from GTA: San Andreas. Look at this map of Los Santos GTA: San Andreas... the Observatory is much closer here than it appears to be in V, plus it's in a totally different position. names of it to spoof the places and added some of there stores to the game. So this map will really be the big one if they just took images from google earth. I just hope they include Bel Air and Beverly Hills, which I'm sure they will.